Can you believe it?! These two pictures are taken in the same place, just 13 years apart! Our life has taken a lot of twists and turns. 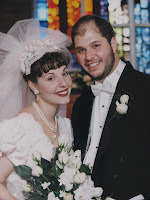 Thirteen years ago if you would have asked us we were going to be Youth pastors until we were 80 and then volunteer! Maybe have a few kids. (or not) I love that God has done the unexpected in our lives. That life would have been good but it wasn't the one that our creator has intended for us! Seminary and 3 children later,God has done much more than we could have created in our dreams of the future! We could never has predicted how God has changed us. "Mommy, I do not want to talk Amharic." 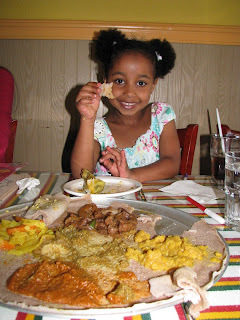 Despite our wonderful time,Every time the cook would come out Yabsira would hide under the table. 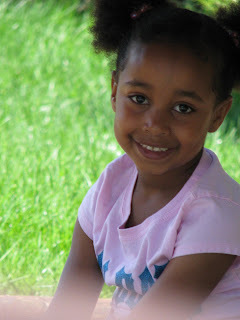 When he would leave she would come back out and she told me "Mommy, I do not want to talk Amharic." I told her that was fine. It was up to her. Lately she hasn't wanted anyone to know she is Ethiopian. Her sister mentioned it to a waitress at dinner last week. Yabby pulled me aside and asked me to tell her sister not to tell people she is Ethiopian. She isn't crazy about her hair right now either. She wants straight hair like Mommy. And I tell her I want curly hair like Yabby! (I was a teenager in the 80's, It is in my blood to want big hair!) We tease that we should switch hair. So we put my hair on her head and look in the mirror and laugh. Honestly, I knew this was coming. We look different and she is very aware of it. I know she loves Ethiopia, WE love Ethiopia. But that isn't the issue. Our genetics are different. And she wants so badly to look like us. So this is one of the many discussions we have had on the subject. We tell her how beautiful God made her and how creative He is. Yes, in some things we look different but in some ways we look the same. Like you have the same eye color as Daddy, Joel and I, And the shape of your eyes are like mine and Belle's. And I can only imagine how beautiful your Ethiopia Mommy was, I bet you look like her. Both of those things are helping. Bringing together her past and her present. Our next discussion will be on how our insides are more important than our outsides. But right now the outsides matter to her. I praise God that He always meets us right where we are at. A little funny story about our Princess! A few weeks ago Belle came to her Dad looking pretty upset. He asked her what was wrong and she said heart broken,"Daddy, we missed Star Wars day!" Can you imagine if you realized you missed a holiday! (especially if you are a kid!) Of course Rob was a little confused. "What do you mean by "Star Wars Day?" he asked. "You know Daddy! May the 4th be with you!" We had a busy week! We were "flocked" by our Youth Group. It was a fundraiser for there mission trip to St.Vincent this summer. Our kids thought it was so cool and I saw quite a few of our neighbors driving very slow in front of our house. "It's OK folks! 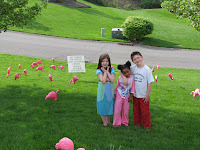 It is just us,the crazies with Flamingos in our yard! 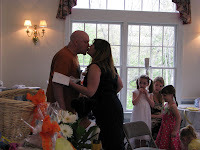 And yes, they will go away very soon:)"
On Saturday we had my sister's bridal shower. It was a lot of fun. All of the nieces are in the wedding,5 including my two. (Plus the 2 nephews should prove to be an interesting wedding day!) The girls were a big help at the shower. They all had a job and did them well. Here are some of my favorite pictures! And last but not least Mother's Day. 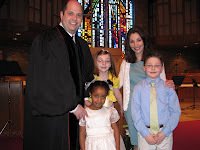 We attended our new Family oriented service at church and it was a lot of fun. My heart filled when I saw my new daughter with her eyes closed and arms raised singing "Blessed be the Name" at the top of her voice. And the other two surrounded by the church family discussing who their family was in Christ. And my dear hubby preaching with his heart open wide. 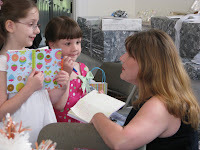 It was a great Mom's day! The picture at the top is of my and my girls hands. We got tattoos at church that said "Mom rocks". They where so cool. PS I almost forgot some really exciting news! Tom Davis raised $12,500 to send formula to our Transitional Home in ET!!! Praise God! Many lives will be saved! Honor Your Mother and give a child life! We were wondering this Mother's day, what to get our mothers who have everything! In honor of our Mom's who give so much we are sending formula to Ethiopia. I had mentioned before we went to Ethiopia that there was a formula shortage. On some levels I understood that...but when I saw the results...It cut to the core! I saw babies lying in cribs with tiny little bodies with IVs hooked up to them. Other babies that weighted only 7lbs. and they were 8 or 9 months old! Then since we have been home our little one tells us about times when she had "very,very no food." This gift will give life! 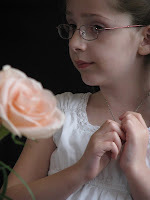 Just click the blog button of little Zoe on the top right hand of this page to find out how you can donate. The money raised will go to THE very Transitional Home that Yabby was in! In the article below,our sweet family coordinator,Duni is quoted! UPDATE: You've given $6,110 to send formula as of 10:30am on May 6. We can now send at least 200+ cans of formula! Keep it coming! We've got new blog buttons for you here. Famine and poverty are increasing the rates of malnourished infant babies in Ethiopia. Children's HopeChest has worked with the America World Adoption Agency (AWAA) on projects in Ethiopia and Russia over the past five years. This request came to us from their transition home where they are receiving severely malnourished babies into their care. This month, in honor of mother's day, I want to raise $12,500 to provide specialized baby formula to this transition home for these malnourished babies. Even though I grew up in Ethiopia, I never knew just how badly babies suffered from malnutrition until I returned to Addis and started working at the AWAA office there. 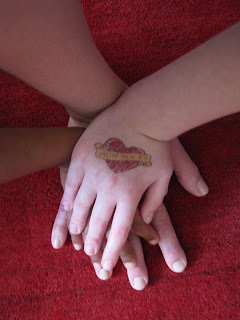 The children at our Transitional Home come from very remote areas. Their families are unable to feed themselves let alone their children and usually relinquish them to their local orphanage when it becomes evident their children will die if they don't. It is hard to see malnourished babies, so tiny, with just skin and bones. I remember the first one I saw, we will call her Gracie. She looked like an old woman in a baby's body. 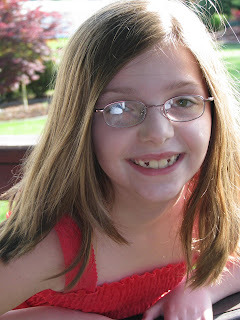 She had big eyes that seemed so wise and testified to what they have seen in the short months Gracie has been alive. That was a few months ago, since then we have admitted many more babies in such condition. And looking at Gracie today, I can't believe she is the same baby. I knew she was a beauty but it really came out once those cheeks filled up. She is still tiny but the pound she has gained in the past week has made a world of difference in her appearance. I look at the others and feel the same way I first felt with Gracie, dejection and fear that she may never make it. The right type of formula for such babies is hard to come by. In fact any kind of formula is expensive and hard to come by. We have babies who need this today so we work tirelessly to get the best formula possible for malnourished babies shipped from the US. It is not fair for a baby to have sad eyes like Gracie's or for a baby to cry out of hunger and not have that need met. Worse yet, it is not fair for a baby to die because of malnutrition. And yet, that is what happens daily in Ethiopia. Today, I am praying for the babies lying still in their cribs. I am praying I will see them feed soon (they are now on feeding tubes). I am praying that their tiny lifeless legs will slowly fill with flesh and will wiggle and play like normal babies do. Here's what we can do to help. CHC will raise $12,500 to purchase what is known in the U.S. as "Nutramigen" formula. This type of formula is necessary because traditional formula cannot be digested by malnourished infants. You can participate by making a gift of any size. A gift of $30 will buy and ship one can of formula to the chidlren in need. Right now if you give $30 it will be doubled to $60! The first $500 we raise will be matched dollar-for-dollar. If we hit our goal, we can send 400 cans of formula to starving infants in Ethiopia. We have been home with Yabby for 5 months now! Just about every medical problem is gone! For the first four months I think we were at one of the four doctor's office at least twice a week! We are all amazed at Yabby's English! 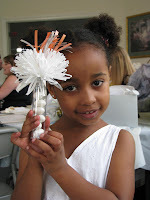 Her preschool teacher reported to us a couple of weeks ago that she loves to talk. Considering her big sister loves to talk too...our house is never quiet! Add in a loud big brother and a Dad with a big voice and well, you get the picture. Can you imagine dinner time at our house?